Enhancing the wellbeing of people & animals. Supporting positive human animal interactions. Paws for Progress is a social enterprise based in central Scotland, which originated as a prison based rescue dog training programme. We now provide a range of fun, engaging & educational dog training programmes & animal assisted interventions which appeal to people who are most disengaged & in need of support. 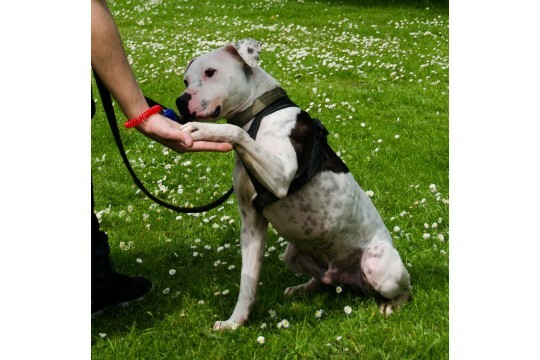 All our services aim to benefit both the people & the dogs taking part.We provide programmes in prison settings & the community, working to improve the lives of people & dogs of all ages. We benefit the community by engaging young people in positive and charitable activities with animals, enhancing the support that our students receive. Positive human animal interactions help to build confidence in personal abilities, develop social skills and positive relationships whilst providing a communication bridge to people who struggle to engage with services. Our programmes are mutually beneficial, providing training/skills for dogs and contributing positively to improved welfare. We engage with more than 150 people a year. 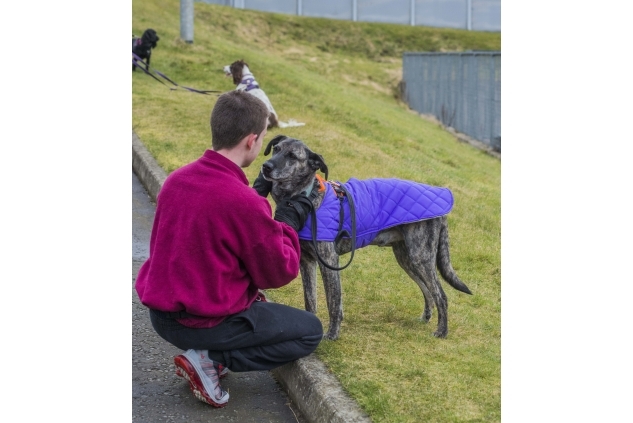 Our flagship project is our rescue dog training programme at HMP & YOI Polmont. Our Community Projects for children reach across central Scotland. We work with women in custody in Stirling and Polmont, and are key partners in Scotland's first prison based assistance dog training programme. Outcomes include enhanced engagement in education, improved behaviour, enhanced social and emotional skills, which help to unleash the potential of our students. Paws for Progress greatly values the significant contribution of our volunteers. We particularly welcome volunteers to contribute skills and expertise to the areas of Business Development, Event Management, Fundraising, Legal, and Marketing / PR.